We, Pranav Tanwar, Adhil Saifudheen, Saurabh Pandey and Fizza Zaidi are Fourth year students of Faculty of Law, Jamia Millia Islamia, New Delhi, India. 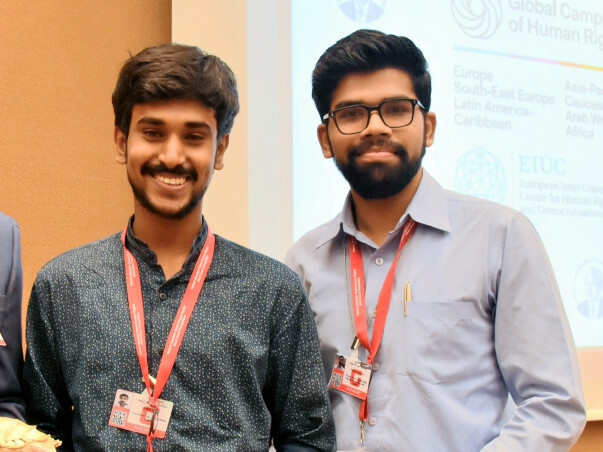 This funding is in pursuance of our participation at the Nuremberg Moot Court Competition, 2018. 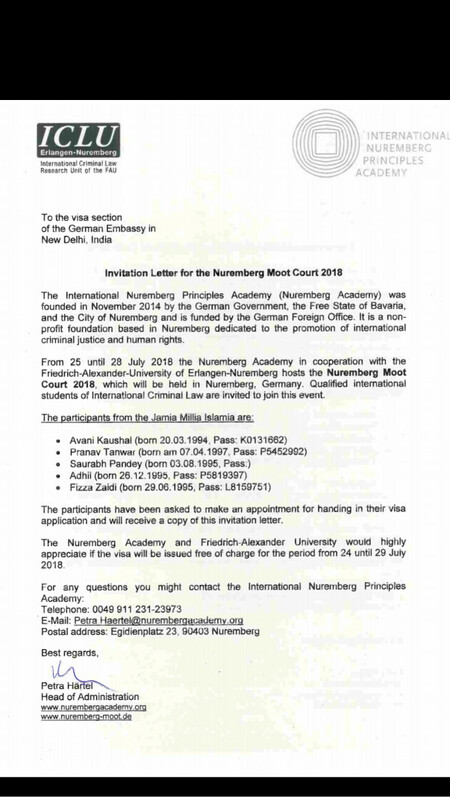 The International Moot Court Competition is being held at Nuremberg, Germany and is organised by International Nuremberg Principles Academy and International Criminal Law Research Unit at the Friedrich-Alexander University Erlangen-Nuremberg. The competition received 119 applications from 59 countries. The criteria for selection to the International Round was based on a Letter of Motivation to select a total 59 teams globally. The Faculty of Law, Jamia Millia Islamia is the team representing India in the International Rounds. 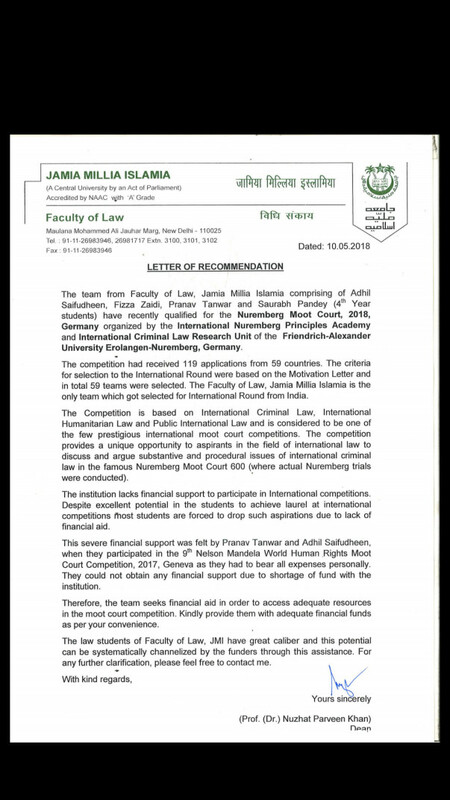 The students of Faculty of Law, Jamia Millia Islamia considerably lack financial support to participate in international competitions. Despite our potential, we are compelled to truncate our scope of opportunities to participate internationally unlike our fellow contemporaries from other law schools. Despite our best efforts, the team has been unable to obtain any financial support from our institution due to paucity of funds. Therefore, a partial financial support will be an enormous help for us in order to participate and engage in this international event. The participation will usher a new confidence in our students to push their boundaries. This remains our cherished goal while seeking financial support from you.